A silver penny of Henry III, short cross reverse, mint of Canterbury, moneyer Tomas, Class 7b, AD 1222 - 1236. North Vol 1, p.223, no.979. A silver penny of Henry III, short cross reverse, mint of Canterbury, moneyer Ioan, Class 7b, circa AD 1222 - 1236. North Vol 1, p.223, no.979. A silver penny of Henry III, short cross reverse, Canterbury mint, moneyer Willem Ta, Class 7b, circa 1222 - 1236. North Vol 1, p.223, no.979. 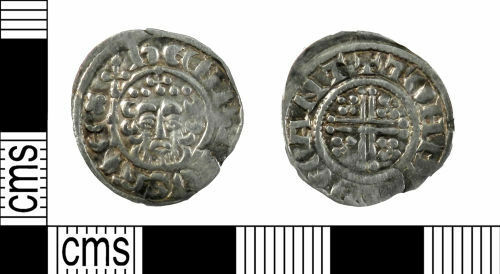 A silver penny of Henry III, short cross reverse, mint of York, uncertain moneyer, Class 7b, AD 1222 - 1236. North Vol 1, p.223, no.979.